Tyra Miller has grown up in the Bronx enveloped in the love of her tight knit family. Her older sister who suffers from an extremely debilitating case of scoliosis has been the focus of her parents heartache and worry. It is the 1960’s and the Miller family leads a pretty stereotypical Jewish New York life for the times; grandparents live upstairs, grandmother cooks enormous amount of food, grandfather is a tailor, father runs a luncheonette, and they vacation once a year in the Catskills. Tyra matures and focuses on Judaic Studies and the Hebrew language. She is finally ready to break free of their suffocating apartment and go to Israel for one year of a masters study program. 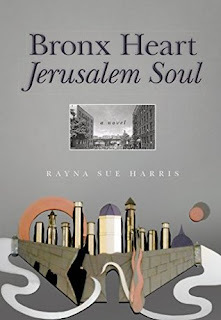 It is 1966 when many of her high school friends are shipped off to Viet Nam and Tyra journeys on a ship to Israel. Looking for love, acceptance and mostly freedom, Tyra is disappointed when none of it comes very easily. It is sometimes only in reflection that one can fully appreciate the experiences at hand. At times I felt like I was reading a diary narrated by Tyra, often chapters were solely letters rebounding between Israel and her friends and family at home and once in a while I wasn’t sure who was telling the story. Had it been 20 years later, and Tel Aviv University instead of Jerusalem, it would be pretty close to the journal tucked away in my drawer from the year I spent abroad. The same conflicts, snarky cute soldiers, amazing food and too many cigarettes. I really liked this story albeit it was a little too long and slow. If you find any connection at all, you will smile all the way through.